Get Free Estimates from Trusted Siding Contractors Near You. If you are looking to hire a company or contractor near you to install or replace your home’s vinyl siding or to just get free quotes for pricing etc, then you’ve come to the right place. 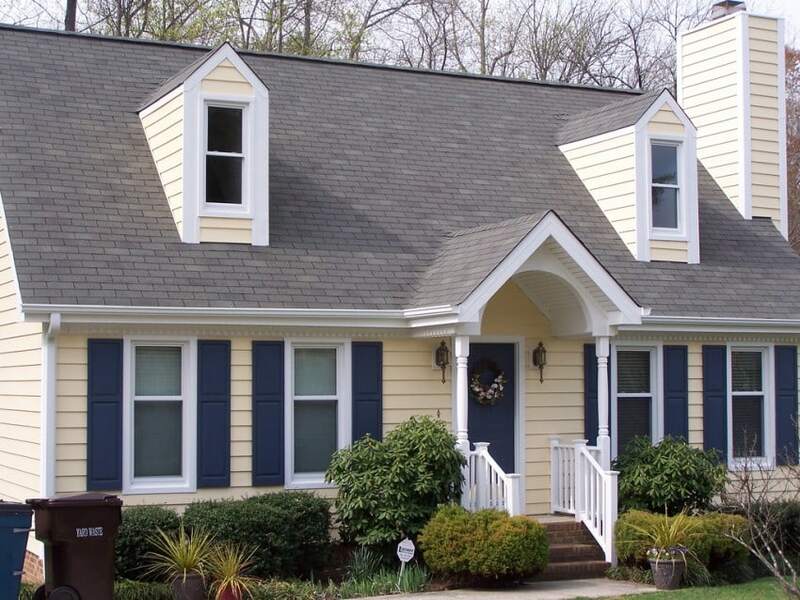 The following article offers comprehensive information about what to look for when searching for a vinyl siding contractor/company (or other siding types), what questions to ask, how to avoid pitfalls and much more. If you want some quick and free quotes from siding contractors near you (or to ask any questions you want and get professional answers), then take a minute and call the number below to get information about your project. Get Free Estimates from Certified Siding Contractors Near Your ZIP Code. Regardless if your home project is a new construction or a remodel, you will at some point need to finish (or replace) the exterior and start looking for home siding options. The exterior of most homes is covered with brick, stucco, wood, or vinyl siding (among other options). 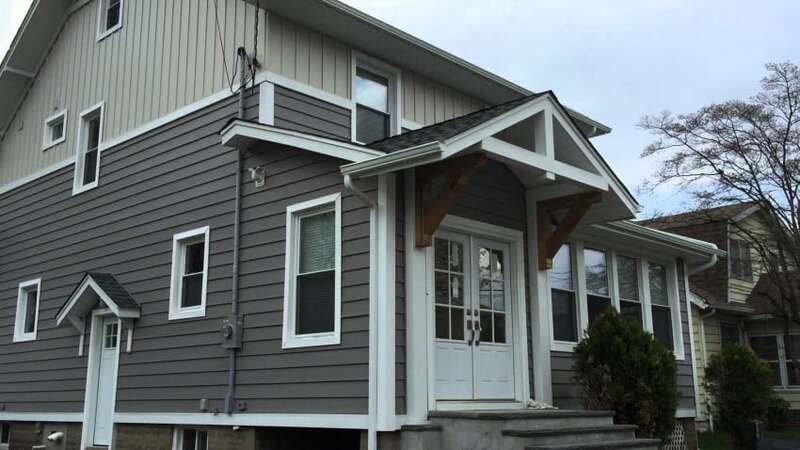 There are home siding contractors that can accommodate any type of vinyl siding project since they are specialized in this type of construction work. The companies here for example can give you free quotes about vinyl siding installation and cost and also answer any question and concern you may have (the link above finds contractors near you). 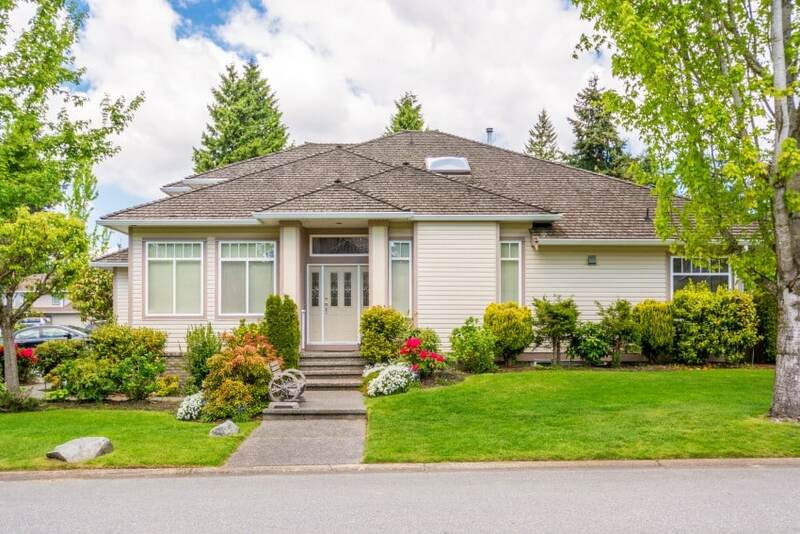 There are a few things however that need to be considered and we will take a quick look at the most important aspects when searching for house siding companies. This is probably the most important aspect that will need to be considered when hiring a contractor. If the contractor is licensed this means that they have undergone the proper training needed to keep their construction company in good standing with the local and state officials. This means that they will have the proper permits and other documents according to local and state requirements. Moreover, an insured contractor will have the coverage needed to protect you and them if something were to go wrong during the vinyl installation project. Not only does insurance protect you against damage due to something the contractor or his workers have damaged on your property, it also means they are insured if one of their workers were injured during the project. One of the reasons we hire contractors is because they have the tools and other equipment they will need to accomplish certain tasks. When installing vinyl siding there are several pieces of specialty equipment needed. Having the ability to reach higher levels is a must for a vinyl siding contractor. He will use longer extension ladders and scaffolding to help his workers reach these heights. One other very important piece of equipment is known as a vinyl brake that is used to shape the metal pieces used to cover the fascia and other parts of the project. If you had to do this project yourself, you would have to rent the equipment needed adding extra cost. If a vinyl contractor does not have his own equipment this would not be a good sign. Most contractors will offer a wide range of colors and different types of materials and patterns for you to choose from. Ask the contractor to see samples of the materials he will be using. 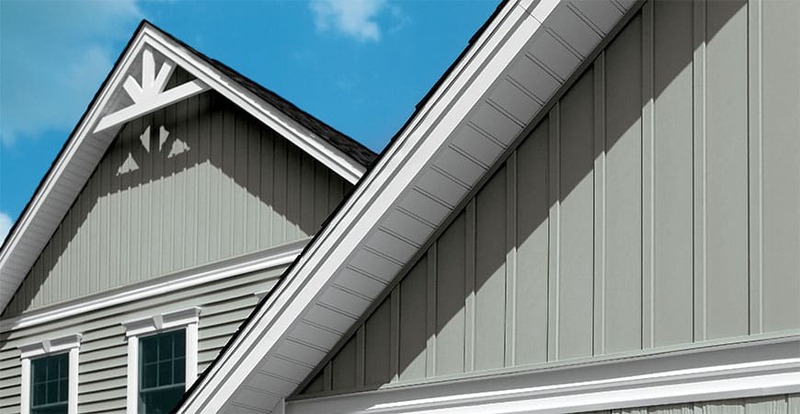 Vinyl siding is available to you in various grades and thicknesses. You want to make sure the materials that the contractor uses are of high quality and will offer you a guarantee. He should be able to give you a couple of different options on material quality. Beware of contractors that will give you a price only to install the cheapest vinyl materials available. Hiring an experienced contractor is a must. Ask them to tell you or show you previous projects they have done to verify their expertise and quality of workmanship. These are just a few important points that could help you to determine which vinyl siding contractor will be better suited for you. Do not be afraid to ask the contractor any questions that you may have. If he is reluctant to discuss these options with you it may be better to check out another company for your project. Now, let’s discuss some general information about vinyl siding and also see some pictures and types as well. 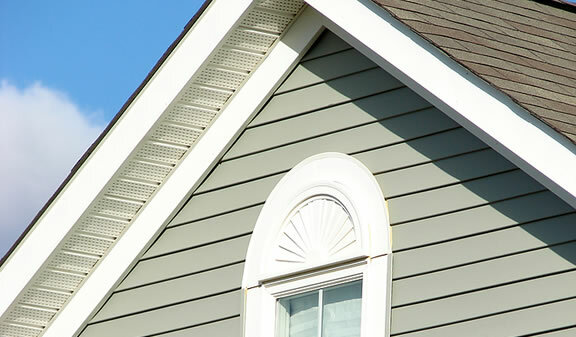 As you may already know, vinyl siding can be a great alternative to other types of home siding such as metal siding, wood siding, stucco siding, aluminum, brick, stone, fiber etc. 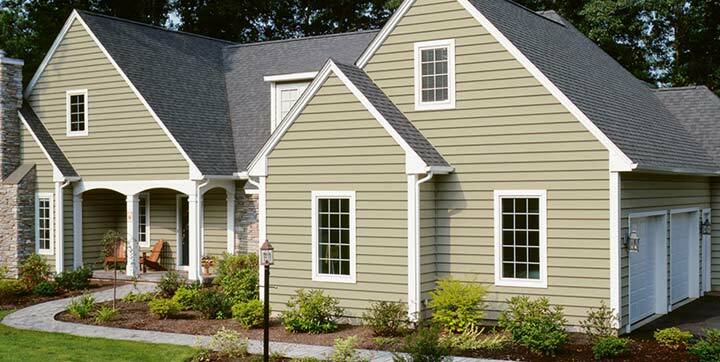 Moreover, vinyl siding is the most popular choice among home owners and this alone tells a lot. Deciding to go with vinyl siding can save you both time and money. Vinyl siding has come a long way over the years, and improved in quality quite a bit. However, not all vinyl siding is created with equal quality. It takes some research and time to find the right fit for you. First, I recommend taking some time to make sure you like how vinyl looks on other homes. Drive around your neighborhood, and look for colors or styles you might like. This may give you an idea of what you are looking for, which can help later on. You can identify vinyl siding by the corners. Vinyl will have cap strips wrapping the edges of the panels. If you’re curious, ask a professional how vinyl siding affects the value of homes in your neighborhood. Most homes will increase in value, especially if high quality siding is used, and the siding is properly installed. If your current siding is in bad shape, vinyl may be a great choice for you and will certainly increase the value of your property and enhance the exterior look significantly. One great thing about vinyl is its ability to cover up what’s underneath. However, you’ll want to make sure any leaks or other problems are taken care of before installation. Next, you’ll want to decide what style and type you’re going for. Hopefully you got a bit of a head start with checking out vinyl homes in your area. If not, there are many other ways of seeing your options. Many of the large home improvement stores have massive displays of different types of siding. You could also look online, but I recommend making final decisions in person. This leads us to another advantage of choosing vinyl siding. There are many options to choose from. First, you’ll want to decide whether you want textured or smooth panels. If you decide you want textured, there are a variety of options there as well. Some vinyl mimics the appearance of wood grain. There are many options for smooth paneled vinyl as well. The most popular styles of both include: horizontal, vertical, shakes, beaded, Dutch lap, board and batten, scallops, traditional lap, etc. This is also called Board and Batten. It is a popular choice and has the advantage of being weather resistant and also keeps strong winds out very effectively. It gives a rustic look to the house. This category of siding is also called Clapboard siding. It runs horizontally through the house sides. You can find it with some other different names such as “traditional lap” or “Dutch Lap”. In USA, this is the most popular choice. 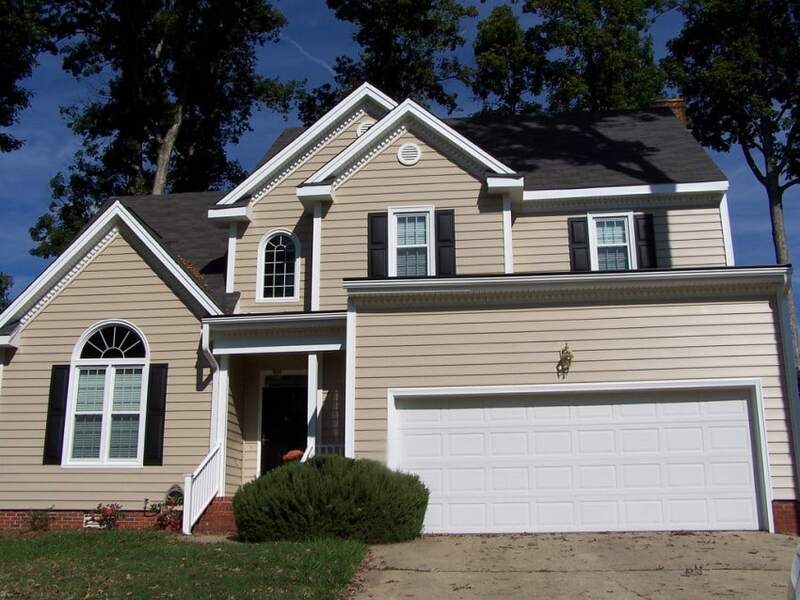 Shakes or Scallops vinyl siding resembles cedar wood without the high cost and maintenance associated with wood. This type also gives a rustic and natural beauty to the house exterior. Another thing you’ll want to consider is the actual materials used to make the vinyl. There are a few things you’ll want to look for. First, you’ll want to make sure the siding is at least .040 inches thick. If you can get it thicker, even better. The thicker the siding is, the sturdier it will be. Similarly, soffit panels should be .05 inches thick. Soffit panels are secured only at the edges, so extra soffit panel thickness prevents the panels from sagging over time. Additionally, you’ll want something with a good warranty. While a 50 year warranty is standard, there are siding types that offer lifetime warranties. The better the warranty, the longer the siding will last. Another thing you’ll want to look for is anti-weathering protection. Vinyl has the potential to fade in the sunlight if it is not protected. After you’ve decided on the siding you want, you’ll need to figure out how it’s getting installed. Many home improvement stores will offer an installation service for an additional fee. However, this may not be the best option if you are concerned about time frame and quality of work. I recommend doing a little bit of research online to find the best price for an installer with good reviews or get some free quotes from verified installers who have done hundreds of projects in your area. It is very important that the siding be properly installed. If vinyl siding isn’t installed properly, it may buckle or have an uneven appearance. With siding being a large home investment as it is, these problems should be prevented whenever possible. Get a free estimate from a vendor– This is a great option if you’ve already picked one or more products to estimate cost for. Most vendors offer this service free of charge if you have your measurements on hand. Figure your own estimate- There are websites that allow you to get an approximate estimate based on the price per square foot. If you aren’t sure what siding you’re going with yet, this can be a good option for getting an idea of what you can afford. Get the square footage of your home’s exterior surface area, then use that to enter a variety of prices per square foot to see where you stand. Look at average costs– The average cost per square foot (including installation) ranges from $3 to $7. For an average sized 2 story home, the total cost of purchasing and installing vinyl siding ranges from $8,400 to $19,600. However, if you need to have your old siding removed, you can tack on an additional $1000 to $3000. After you’ve ordered and installed your new vinyl siding, you’ll want to know how to maintain it properly. The recommended method is with an annual wash done with a stiff bristled brush and soapy water. After that, you’ll want to rinse it with clean water. Costs to have this done professionally are subjective to the type of cleaning process, quality of the cleaning products, and quality of work. However, to keep your vinyl siding looking nice, the DIY cleaning method should work just fine. Just fill-out the form below to get free quotes from several siding companies in your area. 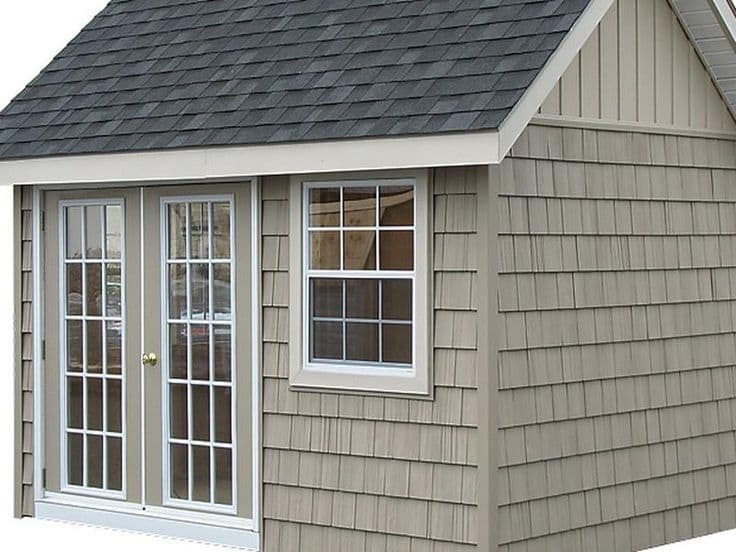 These companies are well established and trusted and also know that in order to earn the job they need to give their best price quote, so rest assured that you will get the best deal for your siding project. Yeah you have to be careful when hiring someone. I had some lazy company do the job and they took two weeks more than they should’ve. Ask for reference that’s the most secure way. The best reference is word of mouth. Also, there are several trusted online services that allow you to search for contractors and get free quotes before starting a project. Is vinyl resistant to both heat and cold, how good is it for isolation? A study by the Vinyl Siding Institute showed that insulated vinyl siding using form-fitted expanded polystyrene (EPS) showed measurable improvement results in terms of thermal insulation, so you should consider the option of insulated vinyl for your home. How do I know what material is of high quality? What’s the quality control thing for vinyl? What specific texture is it? Since the exterior siding of a house is like the clothes we wear, it depends on the climate and the budget we have. 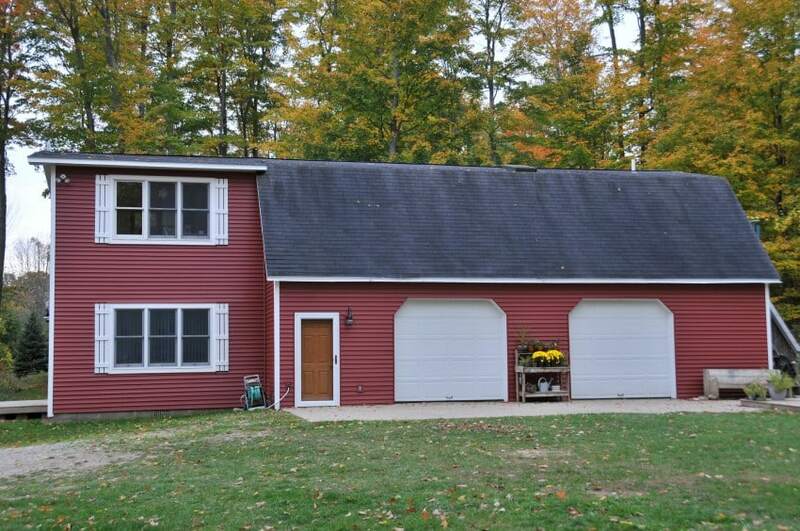 There are several siding material such as vinyl, wood, aluminum, brick, stucco, cement etc. You should ask your contractor company to recommend the best material for your individual case. Scallop Siding looks amazing but will it be any good against rain and heavy snow? Scalloped siding is mostly an aesthetic feature and not a material per se. You can have scalloped siding using traditional shingles or wood. For rainy and cold climates you might consider brick siding with insulation. What’s the average price of an lets say average quality vinyl piece? Is the process of putting it on the house long? If I need to get it done, how fast would a good contractor be able to finish it? I have a medium sized house. I wonder how this looks in pink, is it more of a stylish thing or would it look like some barbie trash? Anyone got it in pink? Is the cheap one not good? How long does it last if you want to go for the cheap one since you don’t have a lot of money ready? Any reliable contractors in the New York Area that you know of and would recommend? Is it possible to do it on your own? I mean can I just buy the mats and make it cheaper by doing it my own way?